For this Victorian property renovation in Bath, we refurbished the house and grounds to create a stylish contemporary home. Our client had lived in this house for many years and watched it deteriorate slowly. He wanted something comfortable but special and he embraced the challenge of a more avant garde interior design. In a Victorian property renovation, we like to create a contemporary feel, whilst preserving period features of the home. Decoration, flooring, fabrics and furniture create a modern look while fireplaces, cornices and sash windows maintain the Victorian appeal. And of course, the modern home needs its home entertainment and media centre. 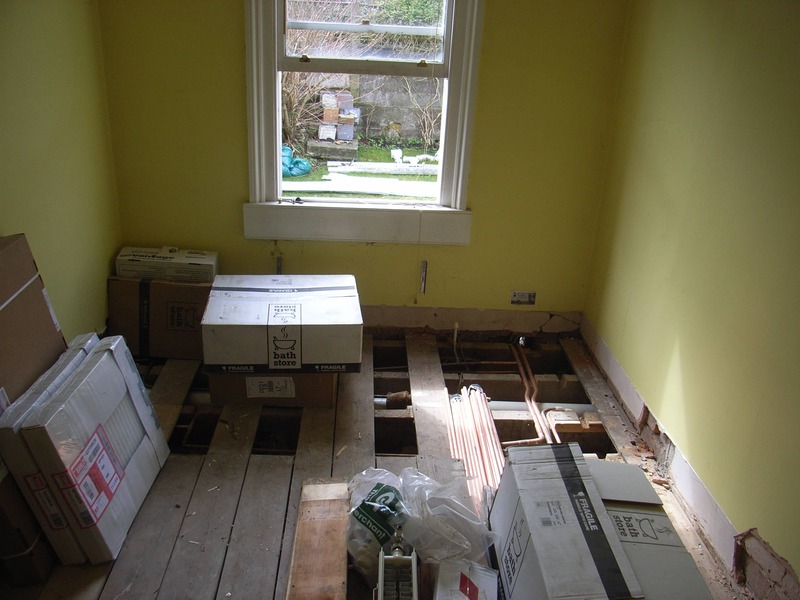 In this house, years of wear and careless repair had damaged the floorboards beyond saving. In any other Victorian property renovation, we might have used reclaimed boards to replace badly damaged items, then sanded and sealed the result. Different pine boards blend in well. 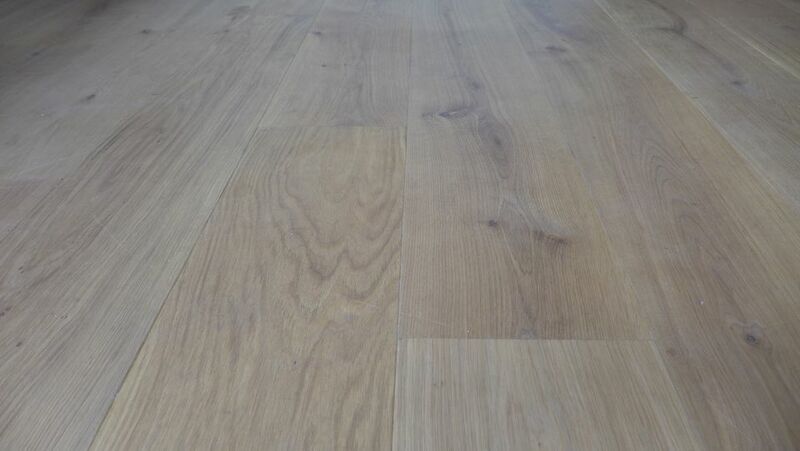 But here, we brought the floor up to date with these magnificient engineered oak boards. Cheap boards tend to be narrow and short, and you end up with too many joins. 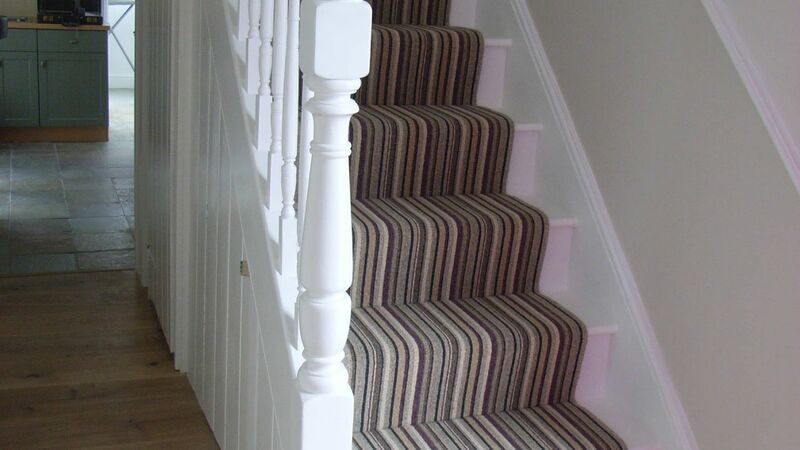 We choose wide, 220mm boards which come in lengths up to 2.4m. Before fitting, we insulated beneath the floor with high performance multi-foil insulation, then secret-nailed the boards. You’ll see further below that we preserved the Victorian fireplace but painted it in a contemporary colour. The marble surround was nothing exciting so it was easy to paint and we fitted a new slate hearth. 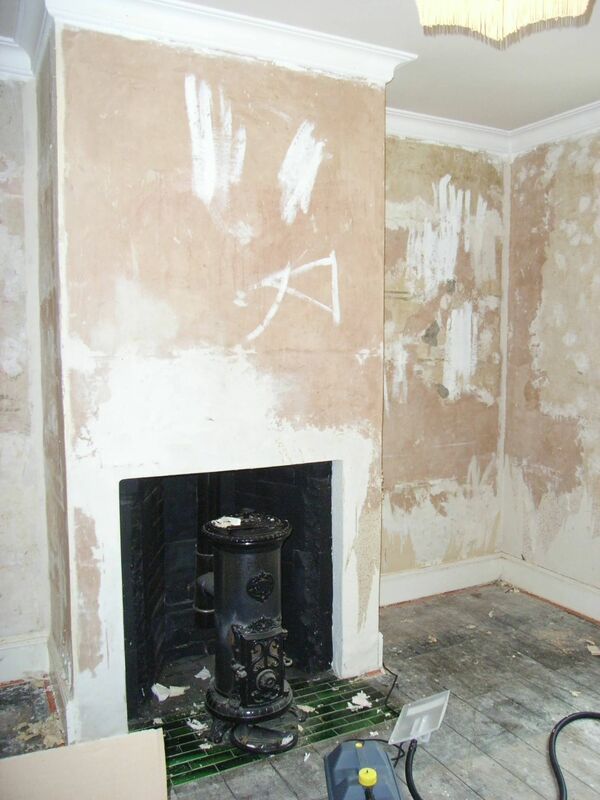 In one of the bedrooms, we found a neglected fireplace with missing grate and ash-pan. We researched the style then designed and had new ones made. 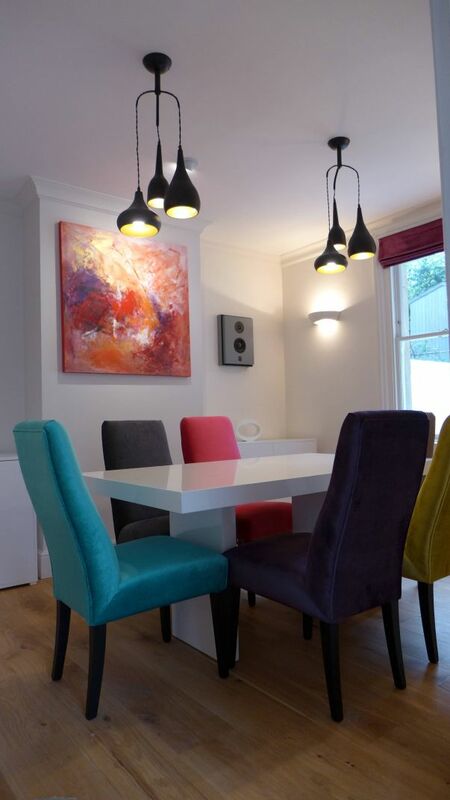 Contemporary art is another great way to bring a Victorian property renovation to life. We commissioned one of our favourite artists to produce several modern canvasses. In fact our client purchased paintings that he had already produced. 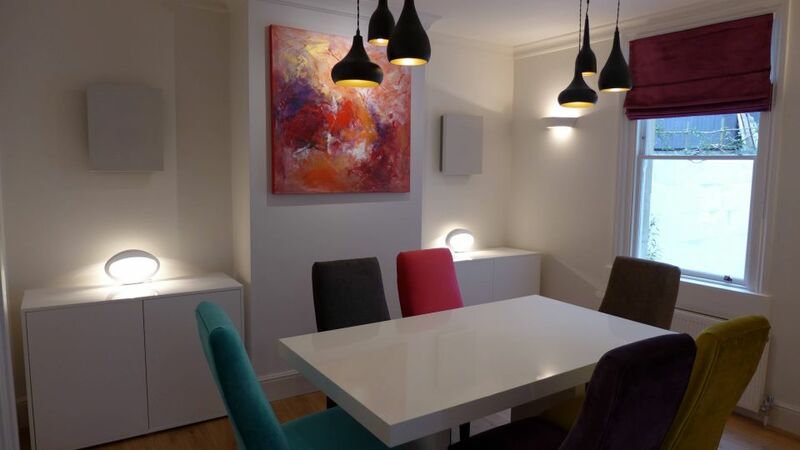 Our lighting design then highlighted the wall art providing a focal point for the room. There are also variations on a theme that bring a modern twist to a traditional setting. Victorians were big on chandeliers, so why not fit a contemporary chandelier or pendant. In the design above, we brought some off the shelf pendants and had a frame fabricated to create this stylish arrangement. The home entertainment system and media hub formed an important part of this Victorian property renovation. We designed the home network, running Cat 6, aerial and satellite cables to all the relevant points. We accompanied our client to visit our specialists who set up their demo room with equipment. He chose his favourite and our specialists installed the kit. This included a surround sound system, top of the range hifi and multi-room usic system. We created a purpose made space beneath the stairs for the internet and media hub, out of the way yet accessible when required. 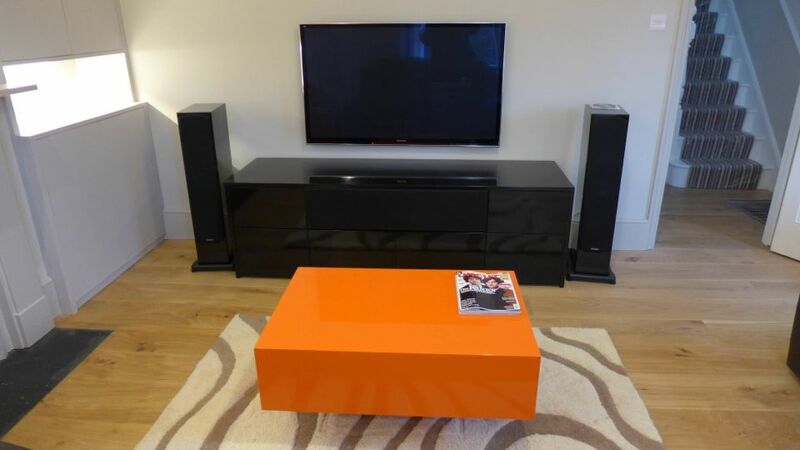 We also designed all the bespoke cabinetry for the hifi and TV equipment. 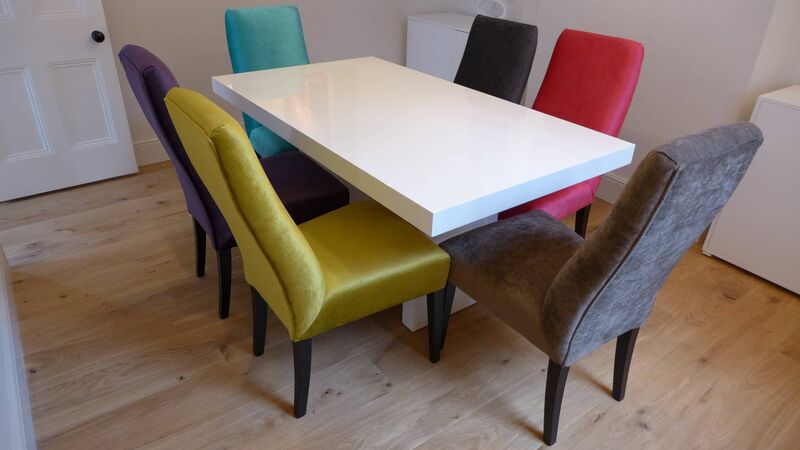 For a sense of drama, we chose dining chairs from one of our trusted suppliers and upholstered them with vivid fabrics. For contrast the fabrics were teamed with gloss white furniture and a neutral backdrop. 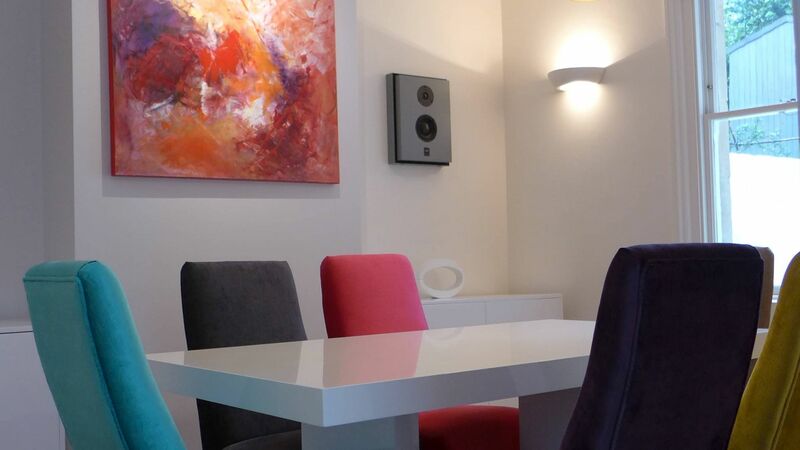 To hide the music system, we installed loudspeakers, colour-matched to the walls. 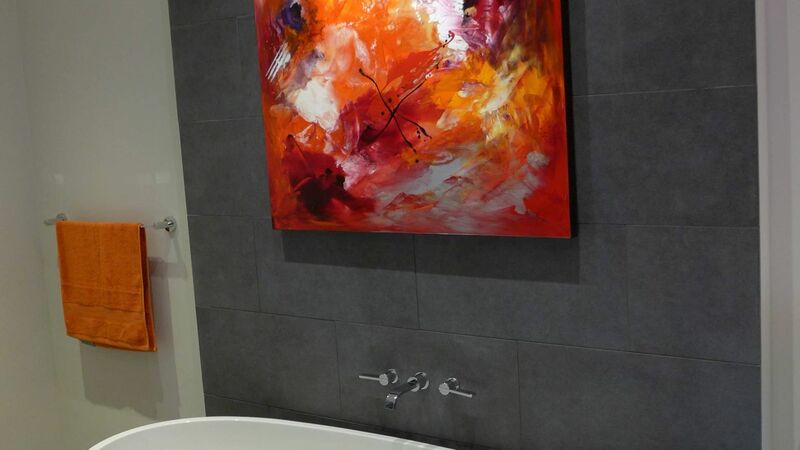 The eye is then drawn to the beautiful, affordable artwork on the chimney breast, from one of our favourite artists. 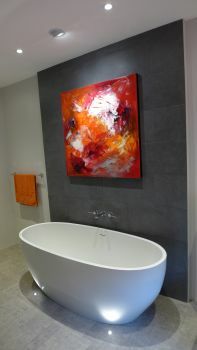 The electrician fitted subtle, ceiling-mounted LED wall washers to illuminate all the new paintings throughout the home. We completely redecorated this Victorian living room and punctuated it with splashes of colour. 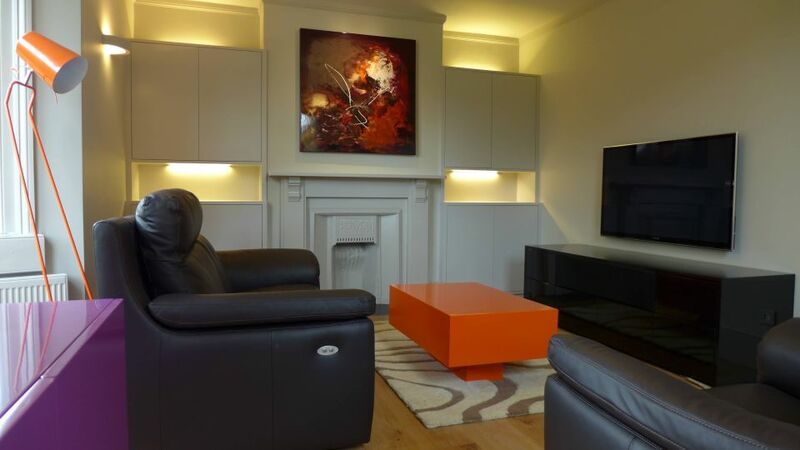 A startling orange floor lamp and orange gloss coffee table set the scene. Our design set the new AV system in a bespoke gloss black cabinet. Our supplier fitted the central cabinet door with speaker fabric to hide the centre speaker, and so create a uniform look to the unit. 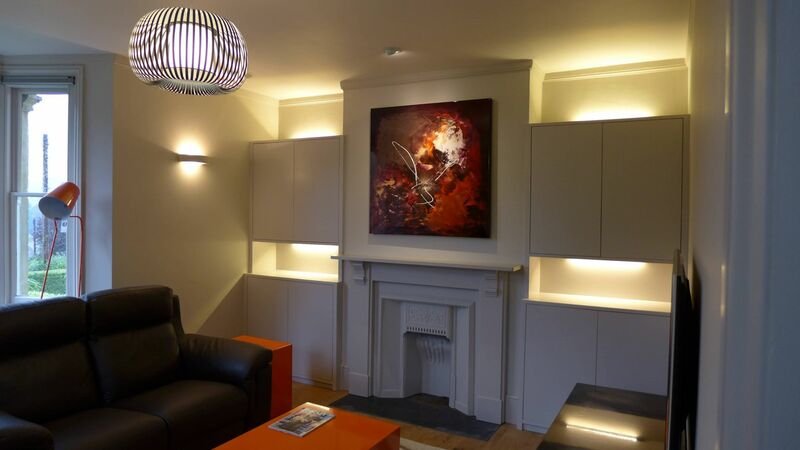 We painted the Victorian fireplace to match the walls, flanked by two bespoke, illuminated alcove units. Our AV specialist then installed a new satellite TV with surround sound and multi-room music system. As a focal point, another of our artist’s paintings took centre stage above the fireplace, brought to life by the ceiling picture light. Wide engineered oak floorboards flowed from the hall to the living room and dining room, creating a modern uniformity through the spaces. The floors were also insulated from beneath. 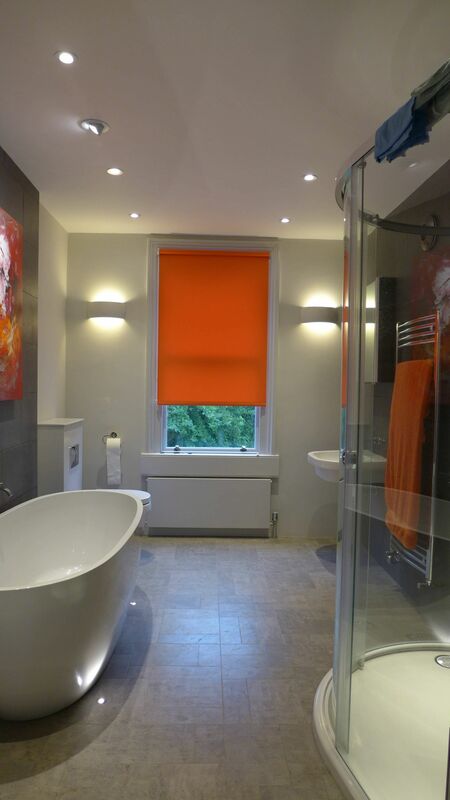 Our client had lived with just a ground floor bathroom and first floor WC. 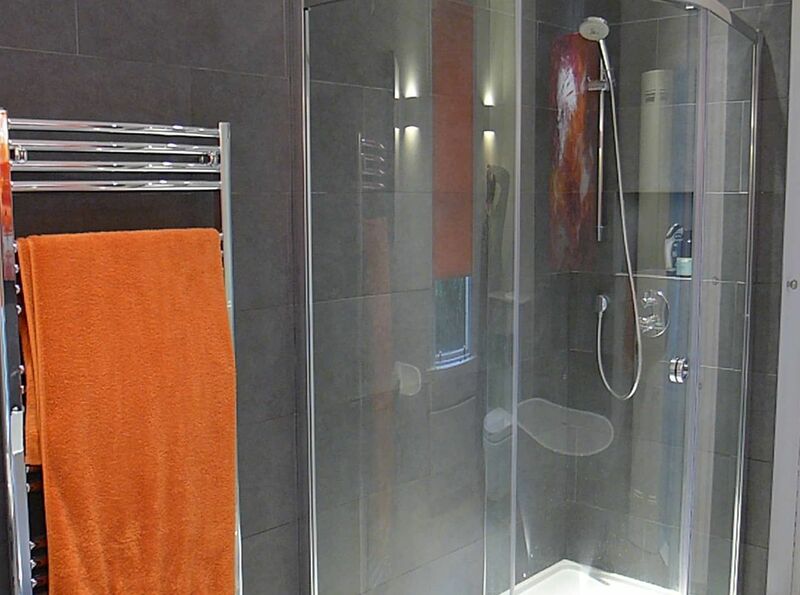 Importantly, he wanted facilities with shower on the first floor, so we converted one bedroom into a hotel chic bathroom. 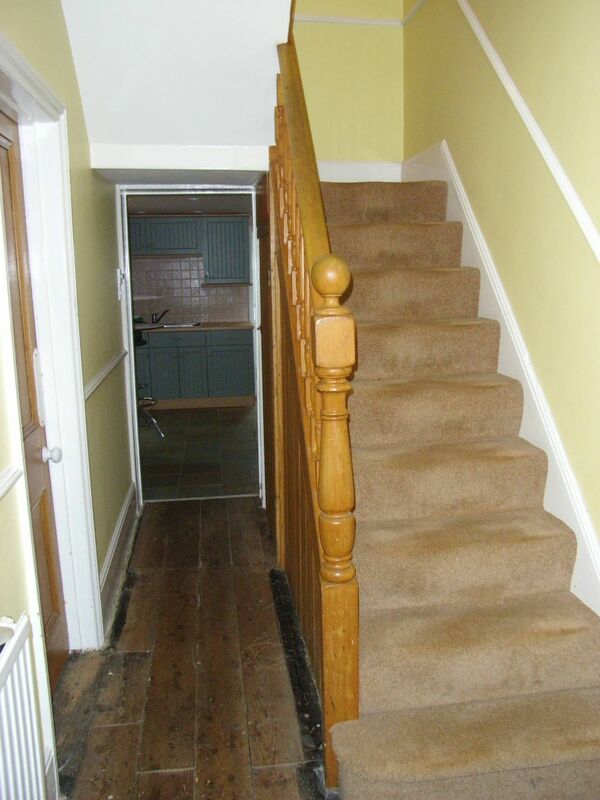 A Victorian property renovation this may be, but we also transformed spaces beyond recognition. The previous ground floor bathroom was turned into a utility space which now houses a new condensing boiler, washing machine and downstairs WC. To account for the loss of one bedroom, we drew plans to convert the attic into a further bedroom. Our client decided to defer this work to phase 2. 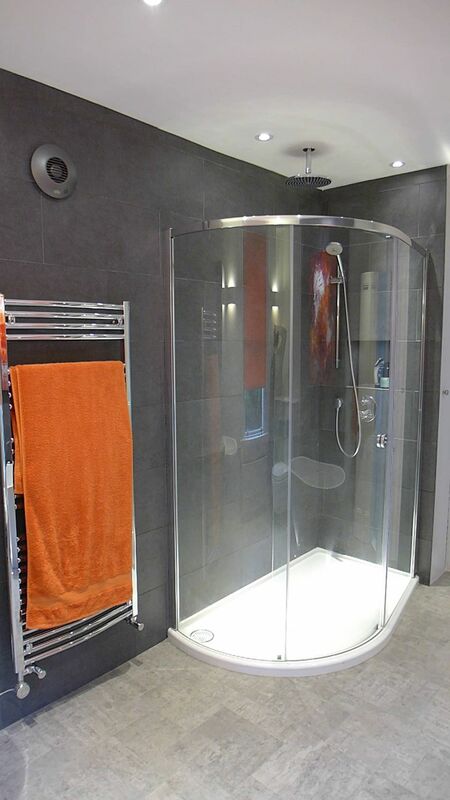 We fitted a large offset corner enclosure with concealed valve, fixed head rain shower and handset. To one side, a contemporary freestanding bath overlooked by a dramatic modern painting created a spectacular focal point. For privacy, we applied a window film depicting an old map of London to the the sash window. An electric heating mat under vinyl tiles provided warmth underfoot, with feature lights fitted in the floor to light up the bath. 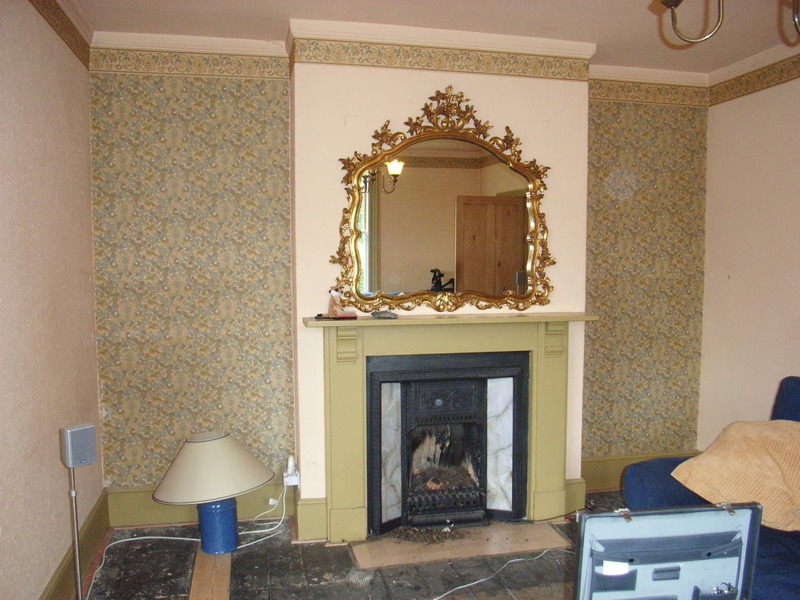 We then decorated and carpeted the other bedrooms and repaired the existing Victorian bedroom fireplace. Our contractor excavated the area immediately behind the house to provide wider access to the back garden. 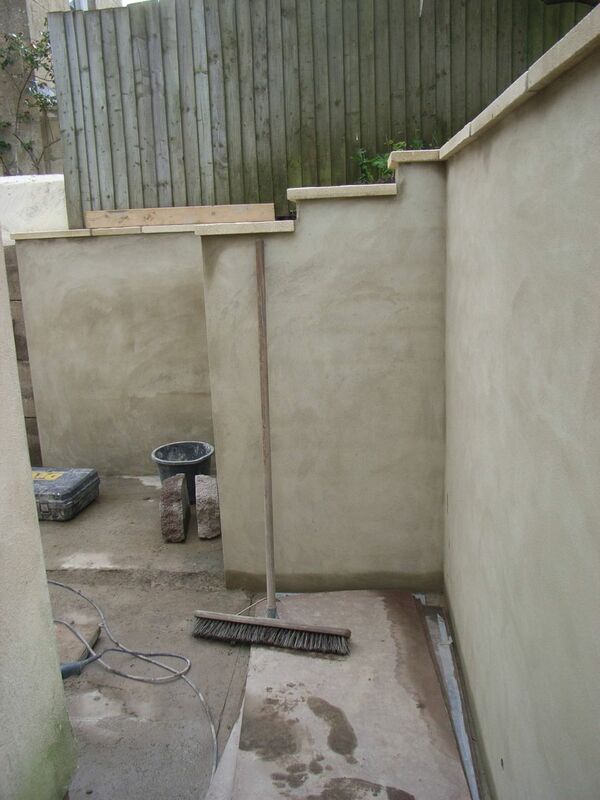 He also built and rendered a new retaining wall and laid a new patio of anti-slip porcelain tiles. Up and down lights illuminate the new side path around the property to give a welcoming glow at night. We also fitted additional lights in colourful planters on the patio to highlight new architectural plants. Our contractor replaced the high level joinery with maintenance-free soffits, fascias and barge-boards. From the ground you cannot tell the difference and everything now looks clean with the freshly painted sash windows, front door and new gate. We also co-ordinated the planting of shrubs and trimming of hedges and bushes so the grounds appear well-kept and stylish. Our client now has a beautiful Victorian house with a contemporary interior design, and fresh exterior, welcoming to friends and relatives and bristling with utilities. 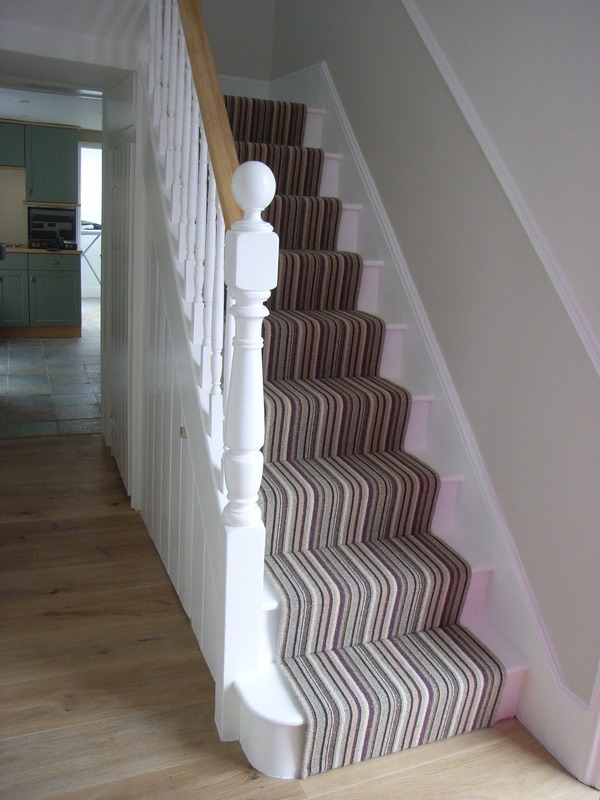 If you’d like to see our other Edwardian or Victorian property renovations, please click on our portfolio. Here you will find a glass side return extension to an Edwardian terrace, a kitchen renovation in a Victorian terrace, a knock through kitchen diner in an Edwardian home and many others.